It has been one week since the latest Apple feeding frenzy known as “The Apple iPhone 4g Release Date” or “Black Thursday” or “Why Are All Those Nerds Camping on the Sidewalk?” Day. 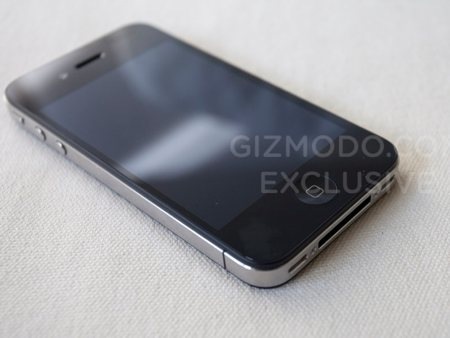 The 4g is the most exciting item to come down the pipeline since the release of the original iphone. Photos on the web still mostly show the “iphone fake outs” (the 4g in a 3g case) leading people to assume it will have the curved back but be thinner. The phone is more squared off, boxy and thicker in reality. While the hype has been huge, the payout is huge as well. We have now entered the world of the Jetsons for real! While we don’t have flying cars (yet), companies are working on GPS “invisible lanes” for airborne traffic. A jet pack is soon available for consumer purchase – reserve yours now. Roomba, the floor cleaning robot, already picks up after us and now we have video phones! Yes, the iphone 4g has a feature called Facetime which allows you to see and chat with a fellow iphone 4g user as long as both of you are currently in a place with wi-fi. I am sure the new Apple TV system (which is reputed to be tiny) will also have Facetime for your television. 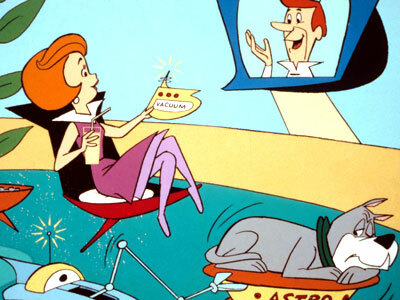 Then you can truly chat like Jane and George Jetson! you get the phone out of the box and use it. Now here is where the pants come into play. You see the antenna is an aluminum strip (which also secures items on the inside of the phone) and when you hold it in your bare hand, it cuts off all your reception. Yup. No bars. You just hold the phone and watch the bars die. How did this happen? No one at Apple or AT&T or the FCC caught this and boy were they embarrassed. This started hitting the geek blogs 2 days before the release due to a few people who pre-ordered their phone for home delivery getting theirs a day before the delivery date by mistake. It appears that no one ever held the phone in their bare hand. The phone was evidently disguised within a 3g case when people took it outside for testing so the average Joe would not know it was the “new phone”. Most people have their phone in a case anyway in order to protect it from damage. Now here is the rub. People just paid anywhere from $200 – $800 for a PHONE and now they can’t use it. Not unless it’s in a case. Problem: unless you were one of the sidewalk geeks, the cases sold out around 3pm on release day. Apple makes an announcement. It isn’t “We’re sorry, we fucked up.” Nope it was “You’re holding the phone wrong.” What? Holding the phone wrong?! Really?! That is like someone dropping 100k on a Porsche and then being told the reason your car abruptly decelerates or stops altogether is because you aren’t wearing your “Porsche Pants” (sold separately). Silly you, didn’t you know you can’t drive a cool car like a Porsche without your special Porsche Pants? Regular pants just will not do. HOWEVER, if you wear driving gloves that will fix the issue but you really should buy those pants. Personally I like having a phone case but can understand the frustration with not being able to get a case, having a phone I can’t use reliably and figuring it isn’t my fault that I wasn’t told that I need Porsche Pants in order to drive the car. Meet George Jetson! His Boy Elroy! Daughter Judy! Jane, his Wife! Posted on June 30, 2010, in Uncategorized and tagged 4g bugs, Apple features, iphone 4g, jetsons, new phone, porsche pants, space age. Bookmark the permalink. 1 Comment.